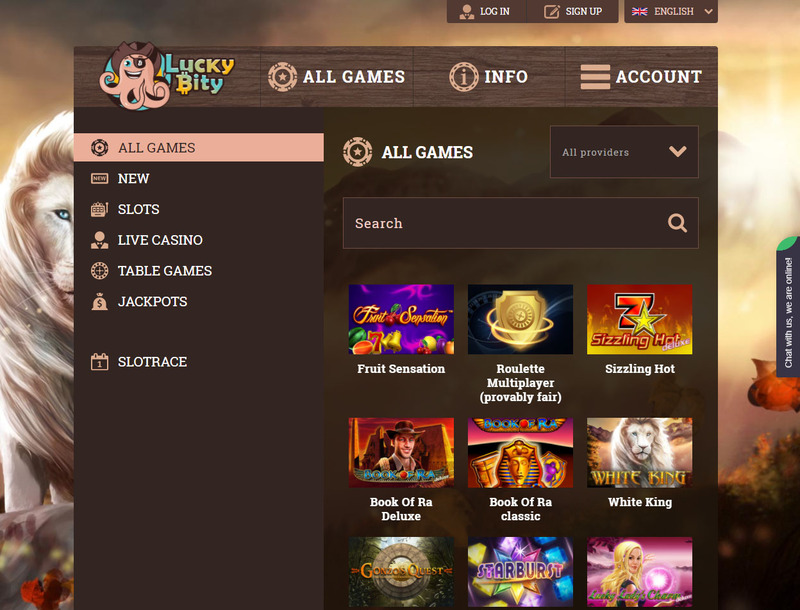 LuckyBity Casino offers great gameplay options when you gamble online. You can play high-octane betting games, like HD slots, table games, progressive jackpots, and live casino games. The gaming site is Costa Rica-based and is operated by Net Games Ltd. The casino’s solid partnership with top software providers makes it a favorite of all types of players in the gambling community. Check the rest of the article out to see whether this casino is worth investing your time and bitcoins in. 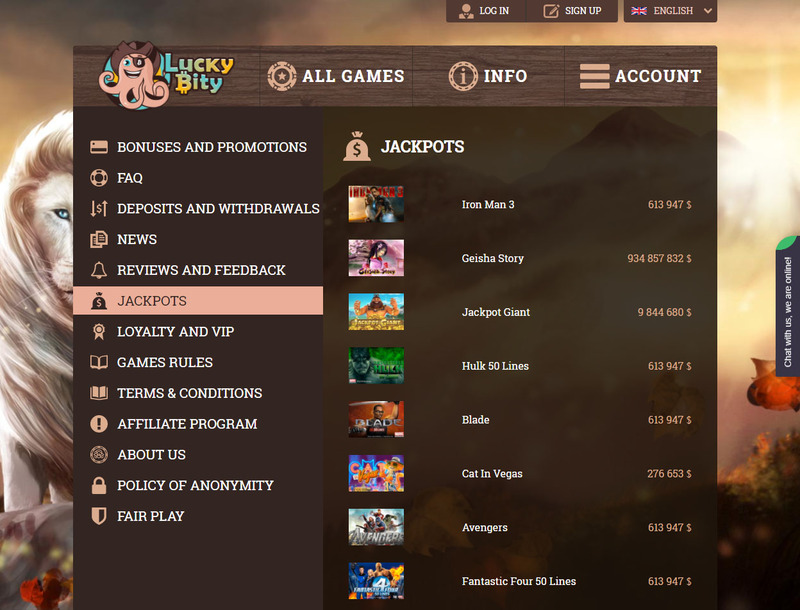 You will enjoy the betting options and rare games offered on LuckyBity Casino. Many of these are Bitcoin slots with bonus features and high-grade graphics from NetEnt and Microgaming. You can also access well-known games by Endorphina such as 7up!, In Jazz, Cuckoo and, many others. Play slot games like Fruit Sensation, Sizzling Hot, Book of Ra Deluxe, and many others. Even so, try out more games from other providers such as Novomatic, EGT, IGT, Amatic Industries, Playtech, and others. This casino offers a humble range of table games. Try your hand on Roulette Multiplayer (provably fair), 21 Blackjack, and Jacks or Better NC. Better yet, join other players on live casino which features a wide mixture of table games such as blackjack and roulette. Majority of the progressive jackpots in this casino are Marvel-based. This adds appeal for new players. Titles such as Avengers, Iron Man 3, and Hulk 50 Lines will leave you at the edge of your seats. 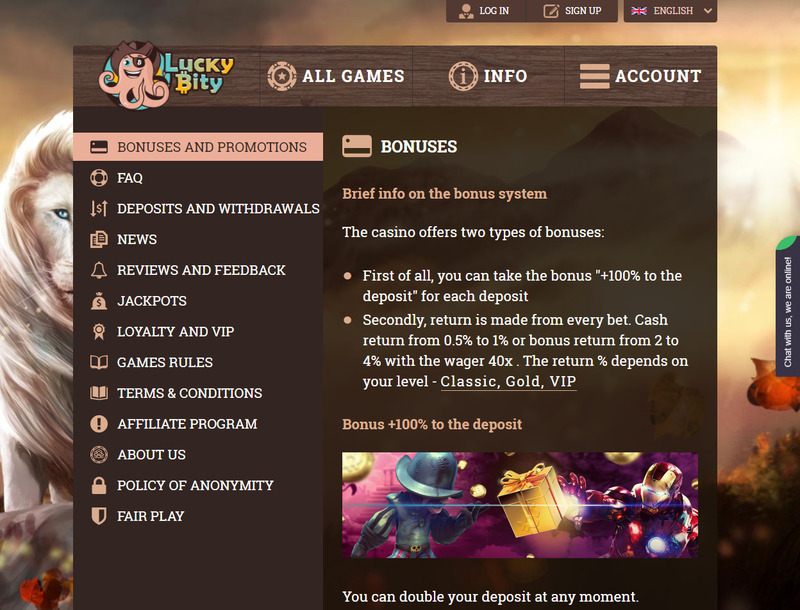 LuckyBity has awesome bonuses and promos waiting for you. You can get a 100% on every deposit with 40x play-through as the wagering requirement. There are no free spins but there are cashbacks. For every bet of $1, you will receive one cashback point. You can exchange this money for a reward on the site’s shop. Bear in mind, though, that you cannot combine both of these bonuses. There is even a VIP program under which you can get gold membership if you have made bets that sum up to at least $40,000. The more you play, the more chances you have at reaching the sought-after top-level VIP status. The online casino promises hassle-free payment transactions. 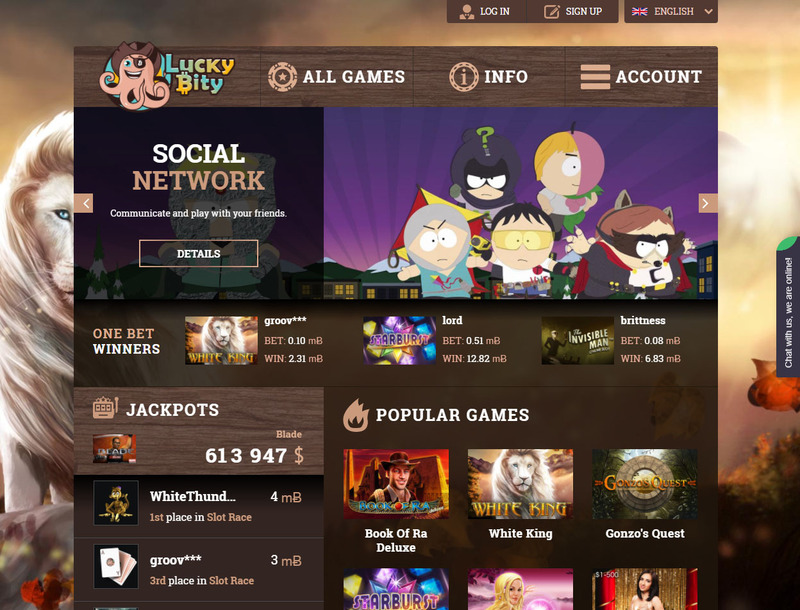 LuckyBity uses blockchain, so there are no banking fees and other issues that will stop you from scratching your gaming itch. The casino accepts several cryptocurrencies, such as BTC, LTC, Dash, and ETH. The easiest way to play is to first get a wallet and then find an exchange to convert your fiat money to virtual currency. Once registered with the casino, you may now deposit your BTC into your player account through the casino’s wallet address. When your playing funds are ready, you can start betting on great games that might give you life-changing wins. You can be sure that banking deals and your personal data are safe on LuckyBity Casino. Licensed and authorized to operate gambling business, this Costa Rica-based gaming site uses multi-layered security systems to give you peace of mind. For assistance, you can turn to the multilingual live chat service available 24/7. You can also contact the site’s email customer support if you have queries or complaints.